Atria’s diplomacy architecture services range from designing new diplomatic complexes, that require sophisticated planning, to repurposing existing facilities and renovating consulates and diplomatic residencial facilities. 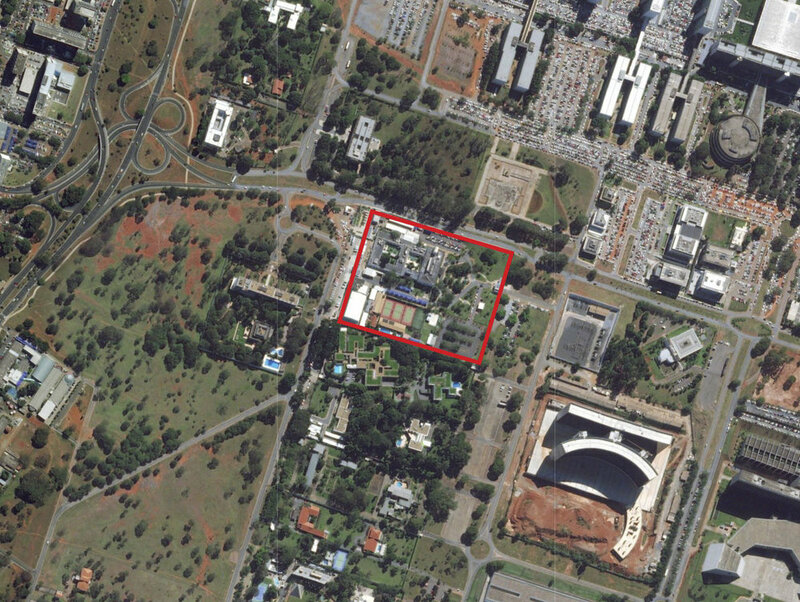 Atria is providing Architecture / Engineering services the Overseas Building Operation - OBO, and in co-authorship with Studio Gang is developing the project for the new US Embassy in Brasilia. The Master Plan of the Residential Complex of the Kuwait Embassy in Brasilia establishes a new landmark in the city, creating a sustainable dwell complex of six high standard houses. Atria is responsible for the Israeli Embassy global retrofit project in Brazil. The intervention took place in the chancellery building and the ambassador’s residence, both originally designed by the architect David Reznick, in 1974. 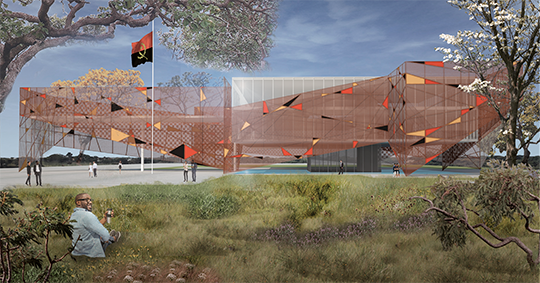 The new Angola Embassy reflects how the traces of vernacular architecture can be used as resources for contemporary design. We have worked in conjunction with Krueck + Sexton Architects to elaborate the Pre Development Survey - PDS for the renovation of the Consul General Residence of the US Consulate in Rio de Janeiro. We have developed a full Master Plan for the renovation and expansion of the Chief Mission Residence - CMR of the United States Embassy in Brasilia. Swiss Embassy in Addis Abeba promoted an international architecture competition for its new diplomatic Complex in Addis Abeba, Ethiopia. Our project was developed in partnership with tiarstudio. The Chief Mission Residence - CMR of the Kuwait Embassy in Brasilia is part of the Kuwaiti’s Ministry of Foreign Affairs program to develop new standards for international architecture cooperation seeking of the right balance of Kuwaiti ancient construction elements and Brazilian Contemporary architecture . Originally designed by Brazilian-born architect and town planner, David Reznick, in 1974 the Chief Mission Residence of the Isralei Embassy in Brasilia is a legacy of modernist Brazilian architecture. Our team was in charge of the house’s full restoration. The Kuwait Embassy Visitor’s house in Brasilia will support the Embassy’s diplomatic activities acting as a representative area for external public and diplomatic missions from other friendly nations. We have develop a high standard staff house for diplomats and families aiming to experience Brasilia in a sustainable environment. 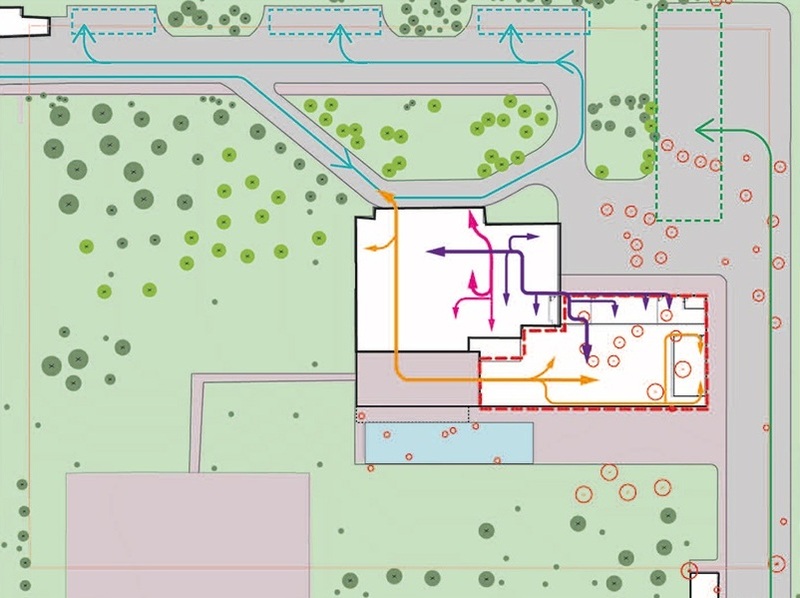 Houses are grouped within city’s urban tissue, configuring an enclosed and secure residential area. Our team has performed several consultancy activities to the Japanese Embassy in Brasilia in order to develop a master plan of priorities for the full renovation of the diplomatic complex. © 2019 ATRIA l All rights reserved.